Dr. Ted Wilson is a licensed psychologist. He holds a doctorate from Duke University (1979), master degree from Duke University (1975) and a bachelor’s degree from the University of Delaware (1972). Dr. Wilson has practiced in Delaware since 1984. Previously, he held a faculty position at the University of Montevallo and taught adjunct classes for the University of Wisconsin, the University of Delaware, and Wesley College. Dr. Wilson’s practice has included inpatient, partial hospitalization, intensive outpatient, and residential treatment. He is now exclusively an outpatient provider. Dr. Wilson has been qualified as an expert witness in both the Family and Superior courts in Delaware. He has also been qualified as an expert in the Superior Courts of Colorado and North Carolina as well as the Circuit Court in Virginia. Dr. Wilson has consulted with schools and school districts throughout Delaware, North Carolina, Florida, and Alabama. He has also consulted with medical practices, businesses, and religious institutions in the State of Delaware. Dr. Wilson’s practice focuses on the treatment of children, adolescents and adults with mood, anxiety, and behavioral disorders. 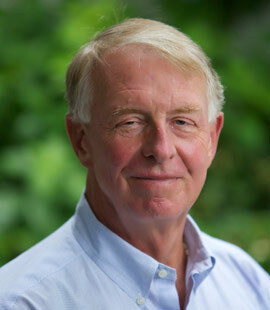 Dr. Wilson has been married for over 40 years to his wife, Juanita, and resides in Dewey Beach, Delaware. He has two sons and two grandchildren. Golf, reading on the beach, long walks, and travel occupy time away from the office.